Summary: Was life created or just a random set of events? What are the facts? A look at Evolution and Creation as viable forms of science. 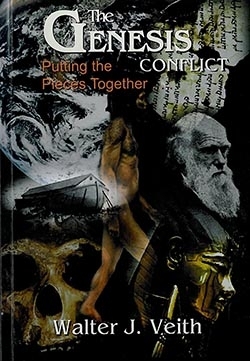 These articles are adapted from The Genesis Conflict by Professor Walter J. Veith, PhD Zoology, renowned author, scientist, and lecturer from South Africa’s Cape Town University. Veith believes that the theory of evolution does not provide a plausible explanation of our origins. His findings are also available on DVD or online through Amazing Discoveries™.